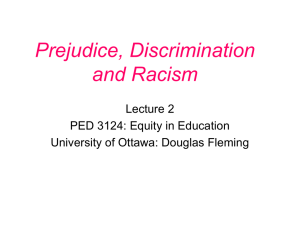 Racism consists of ideologies and practices that seek to justify, or cause, the unequal distribution of privileges, rights, or goods amongst, or otherwise exhibit hatred or prejudice towards, different racial groups. 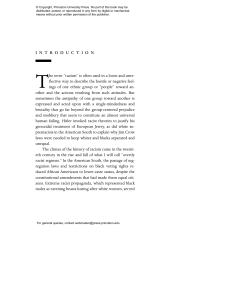 It is often based on a desire to dominate or a belief in the inferiority of another race. 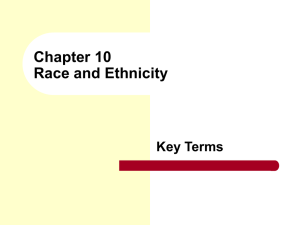 Modern variants are often based in social perceptions of biological differences between peoples. 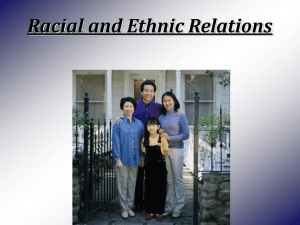 These can take the form of social actions, practices or beliefs, or political systems that consider different races to be ranked as inherently superior or inferior to each other, based on presumed shared inheritable traits, abilities, or qualities. 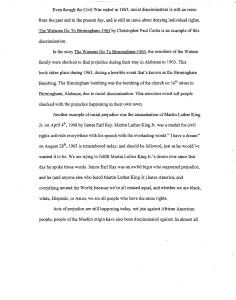 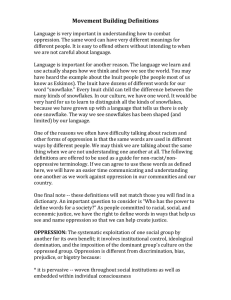 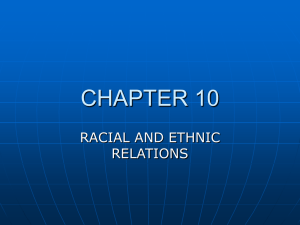 It may also hold that members of different races should be treated differently.Among the questions about how to define racism are the question of whether to include forms of discrimination that are unintentional, such as making assumptions about preferences or abilities of others based on racial stereotypes, whether to include symbolic or institutionalized forms of discrimination such as the circulation of ethnic stereotypes through the media, and whether to include the sociopolitical dynamics of social stratification that sometimes have a racial component.In sociology and psychology, some definitions include only consciously malignant forms of discrimination. 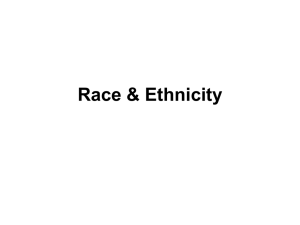 Some definitions of racism also include discriminatory behaviors and beliefs based on cultural, national, ethnic, caste, or religious stereotypes. 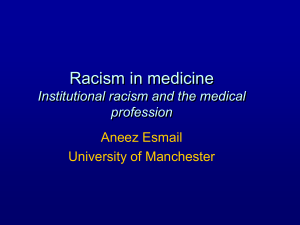 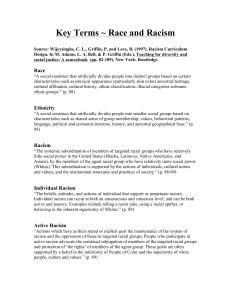 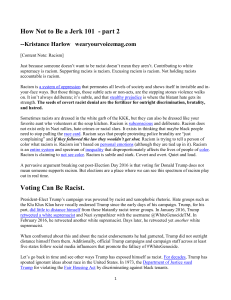 One view holds that racism is best understood as 'prejudice plus power' because without the support of political or economic power, prejudice would not be able to manifest as a pervasive cultural, institutional or social phenomenon.While race and ethnicity are considered to be separate phenomena in contemporary social science, the two terms have a long history of equivalence in popular usage and older social science literature. 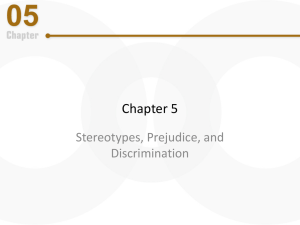 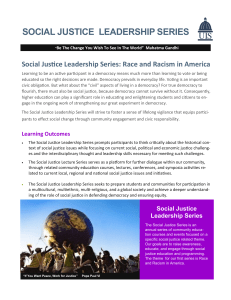 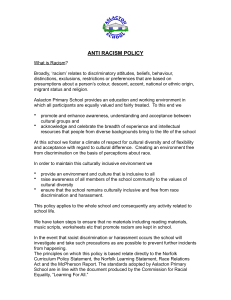 Racism and racial discrimination are often used to describe discrimination on an ethnic or cultural basis, independent of whether these differences are described as racial. 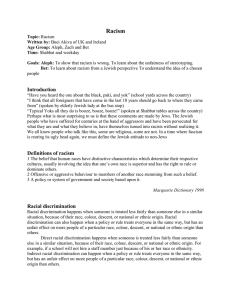 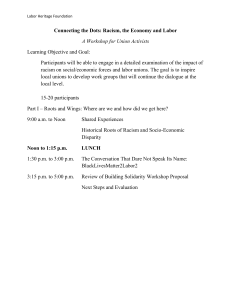 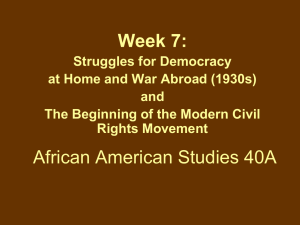 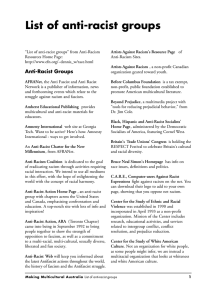 According to the United Nations convention, there is no distinction between the terms racial discrimination and ethnic discrimination, superiority based on racial differentiation is scientifically false, morally condemnable, socially unjust and dangerous, and there is no justification for racial discrimination, in theory or in practice, anywhere.Historically, racism was a major driving force behind the Transatlantic slave trade. 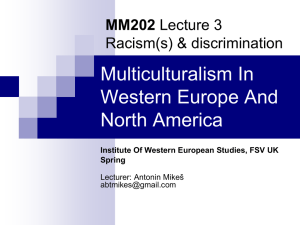 It was also a major force behind racial segregation, especially in the United States in the nineteenth and early twentieth centuries and South Africa under apartheid; 19th and 20th century racism in Western culture is particularly well documented and constitutes a reference point in studies and discourses about racism. 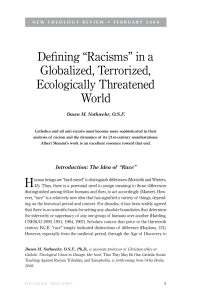 Racism has played a role in genocides such as the Holocaust, the Armenian genocide, and colonial projects like the European colonization of the Americas, Africa, and Asia. 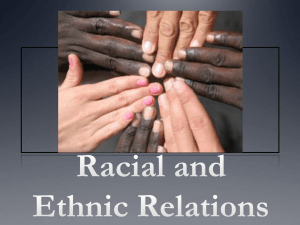 Indigenous peoples have been –and are– often subject to racist attitudes. 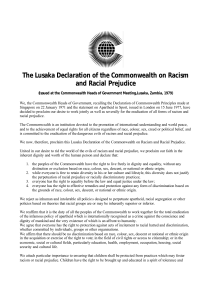 Practices and ideologies of racism are condemned by the United Nations in the Declaration of Human Rights.